Evans Burial Vaults has been offering qualified and dignified cremation services for over 30 years. When you work with us you work with four generations of caring and excellence in the funeral service industry! 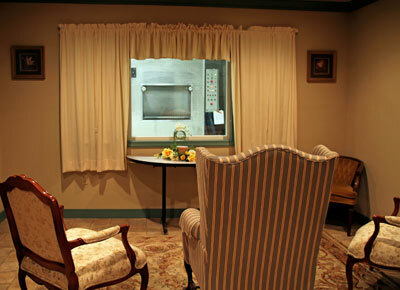 Both of our facilities offer dignified holding facilities and comfortable viewing rooms. We have 4 full-time and 1 part-time, experienced crematory operators who together offer a combined 95 years experience in the funeral services industry. Each of our operators is certified by the Cremation Association of North America (CANA) and offer highly qualified technical expertise. Dynasty Urns | A unique alternative to the classic. In dignity and respect in the care of the deceased, in compassion for the living who survive them and in the memorialization of life. That a Cremation Authority should be responsible for creating and maintaining an atmosphere of respect at all times. That the greatest care should be taken in the appointment of crematory staff members, any of whom must not, by conduct or demeanor, bring the crematory or cremation into disrepute. That cremation should be considered as preparation for memorialization. 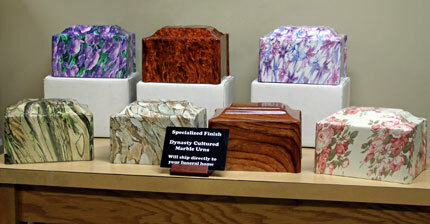 For information about our crematory services, please see our cremation services website www.evanscremation.com.